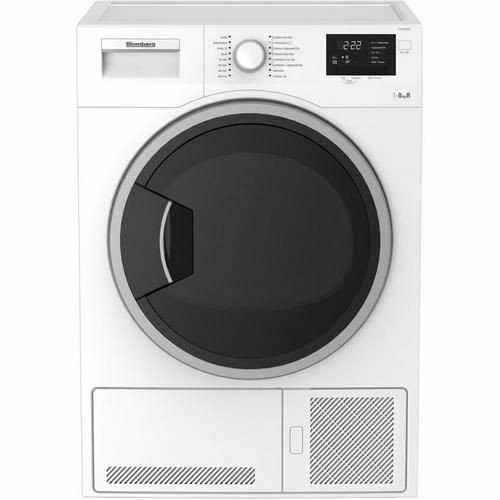 Product information "BLOMBERG LTK28021W 8KG CONDENSER DRYER B RATED"
This product is also exclusive to Euronics, meaning you can’t find it with any other retailer. Choose from 16 programmes – including Cottons, Synthetics and Delicates – with the control dial and buttons on the Blomberg LTK28021W. This tumble dryer has an 8 kg dry capacity, and adjusts its care for you and your clothes. Plus, loading your tumble dryer has never been easier, thanks to the 39 cm wide porthole and the door’s ability to open up to 155 degrees. Related links to "BLOMBERG LTK28021W 8KG CONDENSER DRYER B RATED"
Customer review for "BLOMBERG LTK28021W 8KG CONDENSER DRYER B RATED"